How can Garage Band Soundproofing improve your music? You and your band mates rock out in the garage. Problem is, the acoustics are poor and the neighbors complain. Your garage can have top sound quality without the worry of bothering your neighbors. All you need is garage band soundproofing. Many bands come to Soundproof Cow because they’re looking for a way to create better music. Others looking for quality garage band soundproofing materials are parents who want to support their kid’s musical ambitions. Whatever your reason, we have garage band soundproofing that will create a dedicated space for creating music. What can Garage Band Soundproofing do for you? Garage Band Soundproofing and Sound Absorption: What's the difference? Most garage band soundproofing projects need both soundproofing and sound absorption materials. 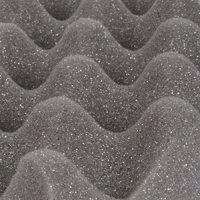 To understand which garage band soundproofing products you need, you first need to think about how sound acts. Sound absorption materials are applied to the interior of the room. They soak up sound waves, preventing them from bouncing back off the walls. Echo and reverberation is minimized. While these products do an excellent job of improving sound quality, they are not made to block sound. Garage band soundproofing products trap the sound. They are designed to stop sound from moving from one space to another. The sound is contained within the garage and doesn’t reach other parts of your house. In addition to keeping sound from leaking out, garage band soundproofing products also stop unwanted sound from entering the room. Often musicians think garage band soundproofing means creating a totally soundproofed area. To achieve this in a private residence is practically impossible and extremely expensive. A term that better fits your garage band soundproofing objectives is Sound Isolation. Sound isolation requires a sound barrier between your garage and adjacent rooms. One way to isolate an area is to install dense garage band soundproofing products. Their heavy mass blocks the sound. Another way to isolate your garage is to create air space between walls and reduce the number of contact points between building materials. When construction elements aren’t physically touching, the sound waves can’t be passed from one to the other. Garages make great rehearsal places. 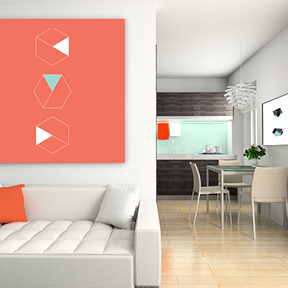 They are partially separated from the house with the least number of shared walls and have sound-blocking concrete. 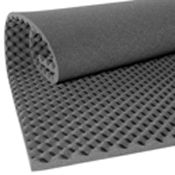 How do you know which type of Garage Band Soundproofing Products you need? To improve the sound quality in the garage, you’ll need sound absorption. If your problem is outside noise interfering with your practice, you’ll need garage band soundproofing. To create the best practice area, you’ll want to use both types of garage band soundproofing products. Depending on where your receiver is located in relation to the sound, you may have to pay special attention to certain barriers. 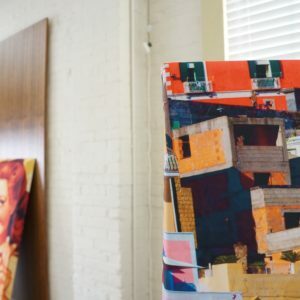 Walls – Sound isolation methods, such as mass loaded vinyl barriers or insulation, work best for walls. Also recommended is creating an air gap between the existing wall and new drywall. 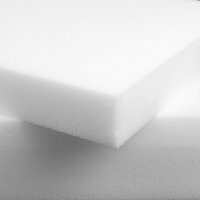 To achieve professional quality sound, high grade studio foam should be installed to absorb sound energy and cut down on echo and reverb. 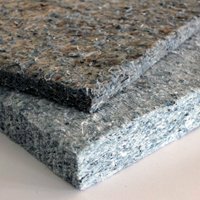 Floors – If your garage has solid concrete floor, acoustical quality carpet underlay is recommended. 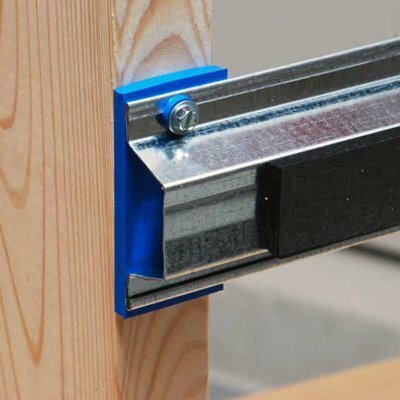 If you have simple hardwood floors, you’ll want to get isolators. Isolators create a separation in the flooring, usually with rubber, so no part of the new floor touches the original. Ceilings – Creating a dropped ceiling packed with proofing materials is the best solution. It can be used in conjunction with high-end acoustic tiles. 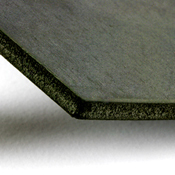 Some products have a fiberglass core with a mass loaded vinyl barrier on the back to serve all purposes.